A two day symposium, ‘The History of Lahore and the Preservation of its Historic Buildings’, was held in Cambridge on Friday 13th and Saturday 14th October; organised by the Ancient India & Iran Trust, in association with the Centre of South Asian Studies, with sessions hosted at the Lee Seng Tee Hall, Wolfson College and the Riley Auditorium, Clare College Memorial Court. 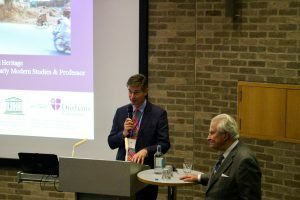 Over 100 delegates enjoyed presentations ranging from the earliest history of Lahore and the walled city, via the glory of Mughal architecture, to the colonial period. 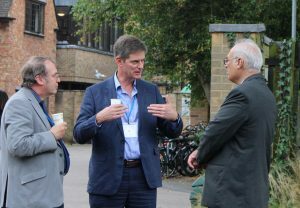 Two superb keynote lectures were given by Professor Robin Coningham (Durham University) on the Friday: ‘Lahore’s Rich Architectural Monuments and their Current Threats’ and Fakir Syed Aijazuddin (author and researcher) on the Saturday: ‘Lahore: Past, Present and Future’. 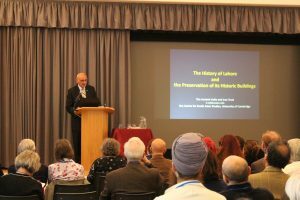 This lively conference, organised by Sir Nicholas Barrington (AIIT trustee) and Majid Sheikh (Wolfson College), on Lahore past and present was clearly a success and very well received by all those attending, many of whom commented on the importance of the issues highlighted and the discussions raised by the lectures. The Conference organisers would like to thank the following sponsors for their support: The Bestway Foundation, Kirsten Rausing, The Malaysian Commonwealth Studies Centre, The Centre of South Asian Studies, The Pakistan Society, The Thriplow Charitable Trust and United Bank. For further reports on the conference and the lectures given, do read the following pieces by Fakir Syed Aijazuddin and Majid Sheikh, published in the Dawn newspaper, 19 October. There is also a video clip available of a news feature on the conference from BBC Urdu. 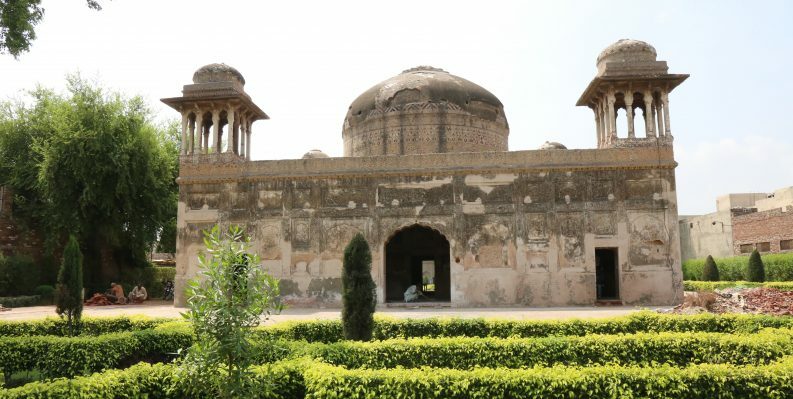 Featured image: Dai Agba tomb, Lahore Monuments. Photo Credit: Eman Omar.